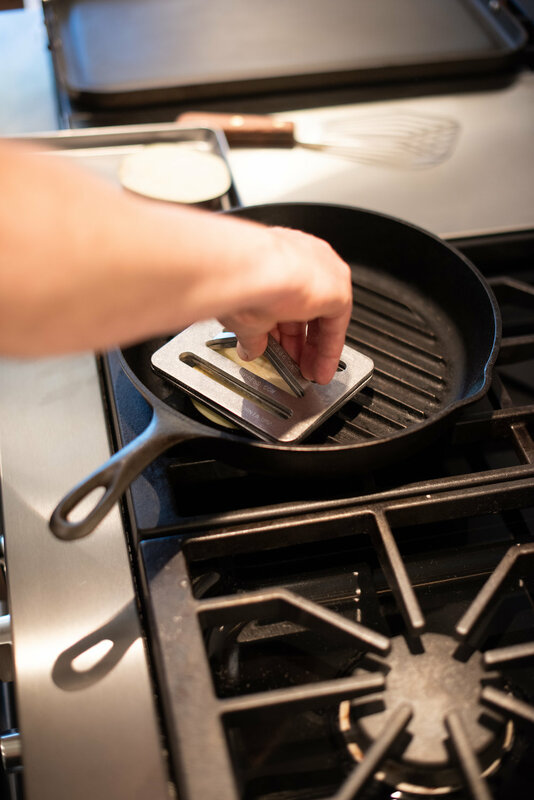 Heat your grill pan to medium high (375 degrees). 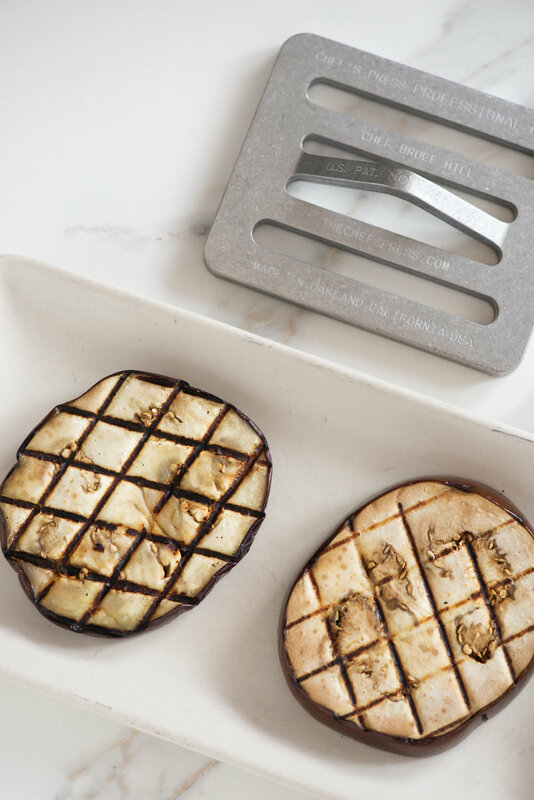 Brush the eggplant slices lightly with oil and season with salt. 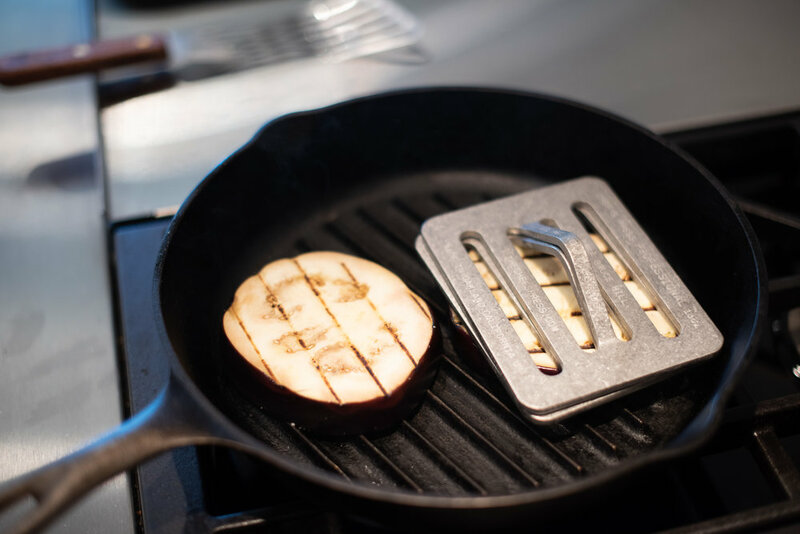 Grill the eggplant 4 slices at a time, using one 13 oz. press per slice. The eggplants should cook for 3-4 minutes per side, turning 90 degrees for attractive cross marks. Combine the Dashi, soy, ginger and sugar in a small pan and bring to a simmer. Cut the eggplant into 4 pieces each and divide between 4 warm bowls. Pour the broth over the eggplant (approximately 2 oz. per bowl).